Agrimonia parviflora is a perennial herb, from fibrous roots; stems stout, to 2 m tall, glandular-hairy. 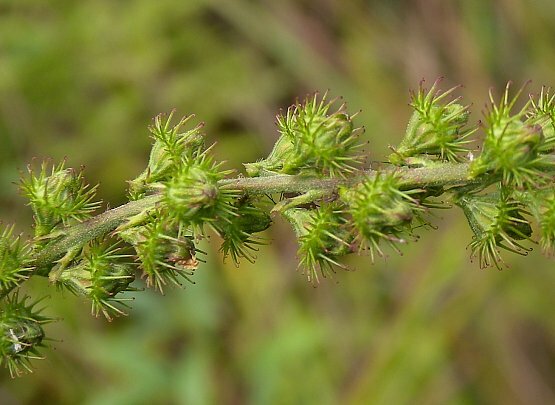 Leaves alternate, pinnately compound, larger leaflets 11-23, lance-shaped, interspersed with numerous, small leaflets of variable shape and size, glandular below, hairy on veins, margin toothed, leaf midrib hairy. Agrimonia parviflora flowers. John Hilty. Illinois Wildflowers. illinoiswildflowers.info (Accessed 7/2017). Flowers yellow, radially symmetrical, petals 5, flower base hairy, 0.3 cm, covered with hooked bristles and glandular hairs. 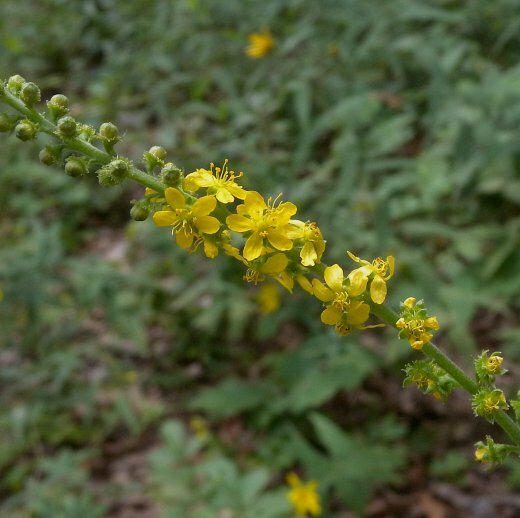 Fruit dry, to 1 cm long, covered by hardened, hooked bristles borne in a horizontal flange, old calyx folded inward, forming a beak at top; blooming Aug.-Sept.
Agrimonia parviflora.fruit. John Hilty.Illinois Wildflowers. 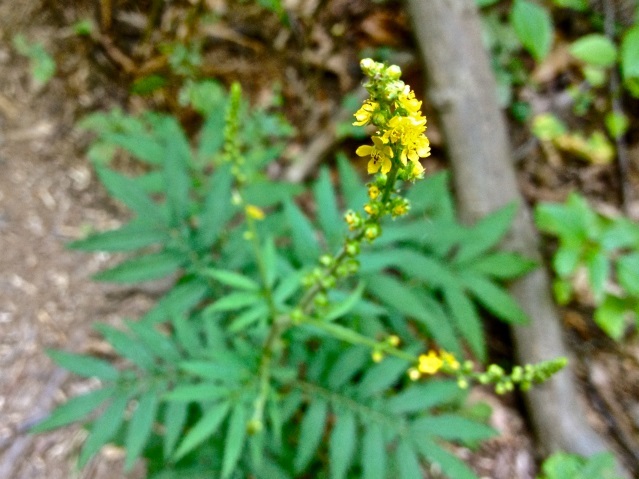 illinoiswildflowers.info (Accessed 7/2017).